You deserve the best support there is, tailored specifically for you. With the help of Joyful Manifestation, allow yourself to become a magnet to attract happiness and success. Personal Coaching. Call (702) 798-0670 or email her - Sugandhi@JoyfulManifestation.com. 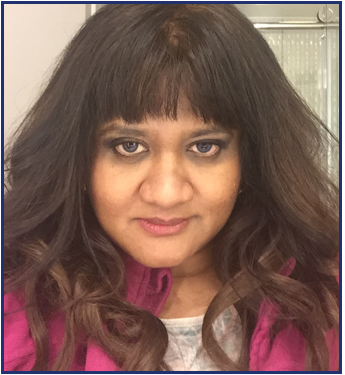 Ms. Iyer, who is based out of Las Vegas, Nevada has an amazing balance of logical thinking (having college degrees and work eperience in Law and Accounting) and magical thinking (She studied Angel Therapy under Dr. Doreen Virtue, is a Reiki Master, and also studied Advance Hypnotherapy, Neuro-Linguistic Programming and Pranic Healing). She brought together the practical and the magical in her book Joyful Manifestation which has over 12 years of research behind it. Ms. Iyer also works with people personally through her personal coaching programs based on methods she has developed. The Personal Success Program is designed to change your consciousness, effecting the vibrations you give out, and enabling you to experience what you would really like to enjoy in life. Success is waiting—just know that it will happen. With her Personal coaching, you can change your vibrations suitably to attain your goals. Call or email to find out more and check out Ms. Iyer's coaching plans. You can either work with her on a monthly basis, or session-to-session, as you feel the need to do so. Contact Her Monday - Sunday, 9:00 a.m. - 9:00 p.m.